Amazon commits to invest heavily in Irish IT staff. Amazon has announced that it will create more than 1,000 permanent jobs in Ireland over the next two years ranging from support staff to researchers to software engineers. The ecommerce giant also opened a new 170,000 square foot building in Dublin though its new highly skilled roles will be based in North County Dublin, Blanchardstown and Tallaght. By creating 1,000 new jobs, Amazon is doubling the growth target it committed to in 2016 when the firm pledged to hire 500 people in two years. 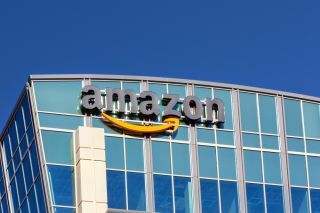 The company's new roles include Software Development Engineers, Network Development Engineers, Data Centre Engineers, Support Engineers, Solutions Architects, Systems Engineers, Optical Deployment Engineers, security Specialists, DevOps Engineers and a range of technical management positions for both Amazon and AWS. The new jobs are a sign of Amazon's growing investments in Ireland as a centre of excellence for software engineering, research and customer services.